This dainty little Aji pepper from South America has a very mellow mild heat range and is traditionally used to make the delicious Crema de Aji. 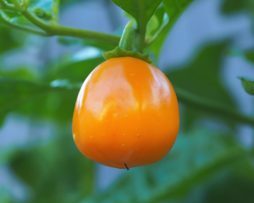 Fruit grow to about 6cms long and 1cm wide maturing from a lovely light creamy yellow to a vibrant golden orange. The flavour is quite sweet with a smoky spiciness and citrus notes. A great producer that does well in colder climates. 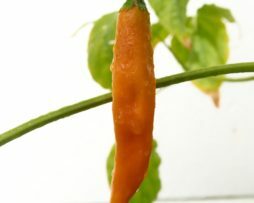 “This is a truly astonishing pepper… This is the best tasting non-hot C.Chinense I’ve ever eaten, bar none. I`ve eaten a few, too!… A great looking pepper, to my eyes, and it is even better when you bite into it. The flavours are really sweet, rich and complex. There is a little C.Chinense flavor mixed in there, too, but it isn’t strong. The aftertaste is very rich and nutty, like raw almonds or Brazil nuts. 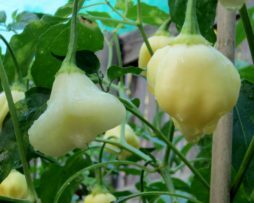 The Aji White Fantasy is one of the best tasting mild chilli’s around. Its thick flesh is juicy and crunchy with definite citrus tones. The fruit start a pale yellow then change to a stunning crystal white before ripening to pale yellow again. The bush does not grow large so it would be excellent in a patio pot. It also keeps setting pods for most of the year if in a warm climate. You’re going to fall in love with this one! This type of skin is referred to as “vezeni” (meaning “embroidered”) and the longer you leave on the plant the more embroidered it gets. 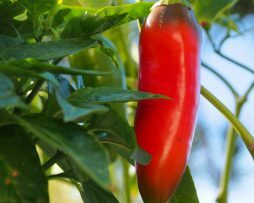 The Albanian Red Hot grows to around 20cms long and 3-4cms wide, so if you like your chillies big, flavorsome, easy maintenance and super productive go no further. From the war torn fields of Syria this one has now become hard to get. Also known as the Halaby pepper. Sweet and juicy with a good wack of heat the Aleppo Pepper is super tasty. 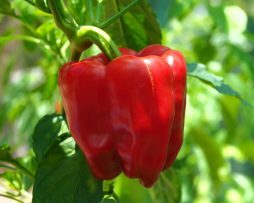 It has been described as having the flavor of “sweetness, roundness and perfume of the best kind of sundried tomatoes”. Very popular as flakes and powder this one’s quite a good all rounder. The Aleppo chilli is a staple for many Middle Eastern recipes, and for very good reason. The flavors of the chilli pair very well with Mediterranean cuisine. 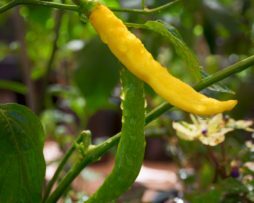 Go on this one has to be on your next chilli grow list. The Anaheim chilli is one old time classic that has a versatility in cooking that is unrivaled. 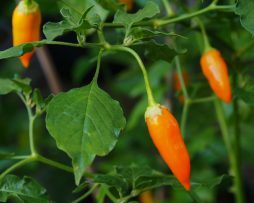 It’s a mild, medium sized chilli growing to 15-20cms long and 3-4cms long. Americans can’t get enough of them and they are one of the most common chilli’s used in many foods and recipes. 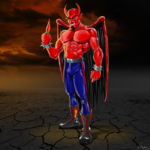 This is no wonder given that the Anaheim chilli is named after the California city of Anaheim. 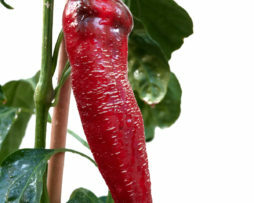 Raw Anaheim chillies are bright, succulent and have a great peppery flavour. When cooked they take on a whole new depth of rich, sweet tanginess. If you’re still not convinced this is one for you just imagine…biting into a Relleno which is when the pepper is roasted, stuffed with gooey cheese and then coated in egg and fried. Mmmm Mmmm. 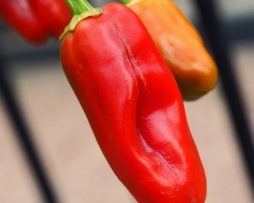 Anaheim chillies are said to pair well with cheeses, pork, poultry, corn, tomatoes, eggs, black beans, and spices such as cumin and corriander. Well we think they go well with just about anything really. They seem to like the cooler weather and when they get going they are great producers. The Antep Aci Dolma is a great new one from Turkey. It looks like a Bell pepper, however, it is SO much more! It has to be the best tasting large Capsicum Annuum ever! We mean that too! 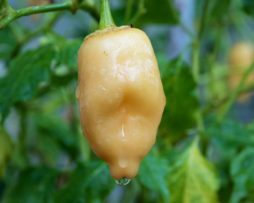 It is sweet, juicy and then it also has a chilli kick! Yes, you heard it right! About Jalapeno hot, maybe a bit more. So what could be more perfect if you like your stuffed capsicum with a bit of zing. 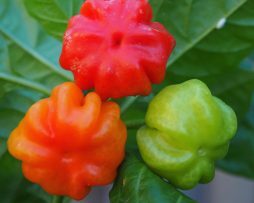 This one is going to change your everyday perception of a capsicum. 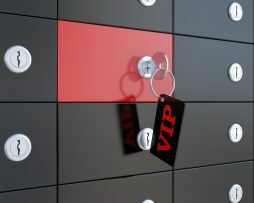 So impress your friends with this…. and your smug smile! Just to make it even better, it grows a lot of fruit.